There will be games and big sales at City Mall St. John. 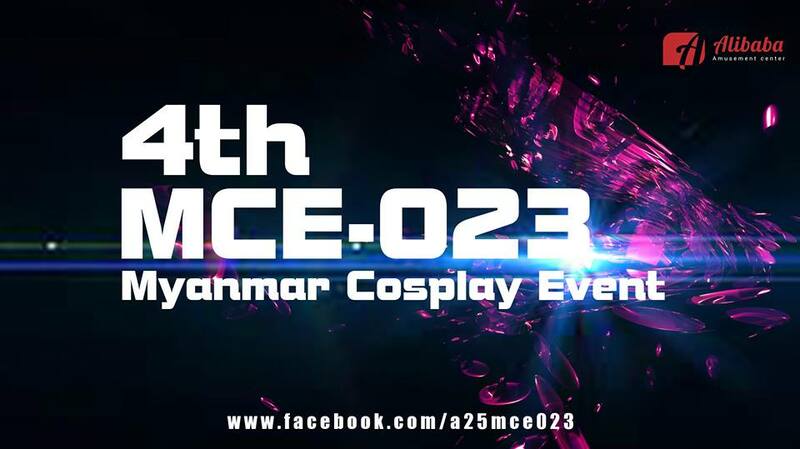 Sept. 26, 9 a.m. to 6 p.m. City Mall, corner of Min Ye Kyaw Swa Road and Pyay Road. 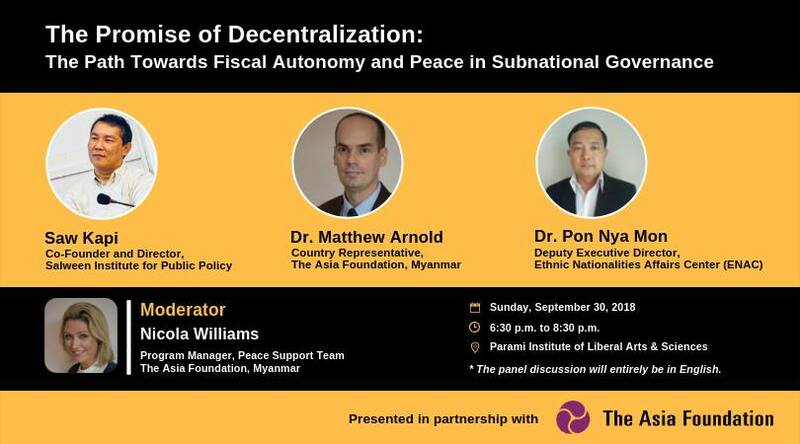 The panel discussion will focus on fiscal autonomy and peace in subnational governance. Sept. 30, 6:30 p.m. to 8:30 p.m. Parami Institute of Liberal Arts and Sciences, 3rd floor, Shwe Gone Plaza. Register here. This event is for teenagers who love anime, manga and cosplay culture. Sept. 30, 9 a.m. to 5 p.m. MICT Park. Tickets are 5,000 kyats. Tel: 09-773369962, 09-693587213. 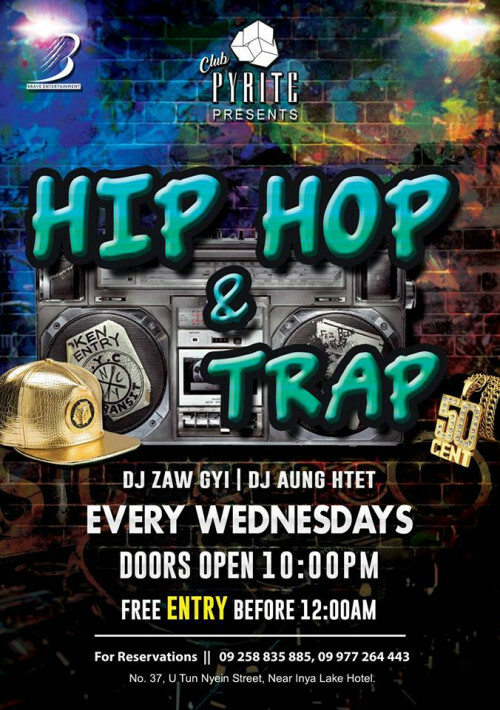 DJ Zaw Gyi and DJ Aung Htet will perform. Sept. 26, 10 p.m. till late. YRITE, No. 37 Kaba Aye Pagoda Road, near Inya Lake Hotel. Tel: 09-258835885 for reservations. Leading businessmen will discuss the causes of Myanmar’s economic decline. 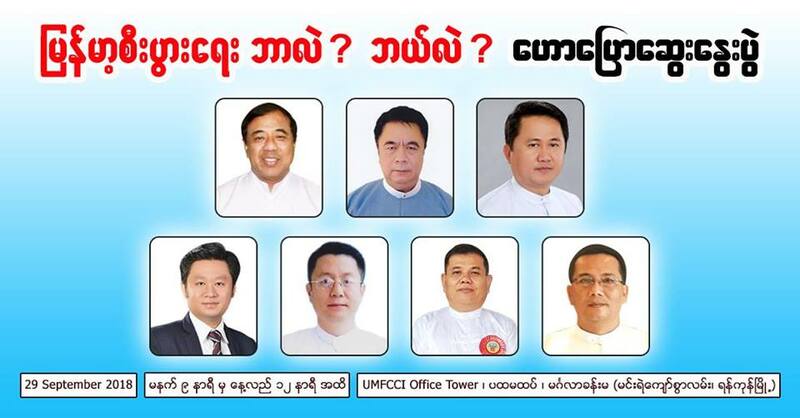 Sept. 29, 9 a.m. to 12 p.m. Union of Myanmar Federation of Chambers of Commerce and Industry, Min Ye Kyaw Swar Street. Free admission. Register here. European films will be screened. Sept. 22 to 30. Two shows daily, at 3:30 p.m. and 6:30 p.m. Nay Pyi Taw Cinema. Free admission. Latin music, dance performances and free lessons. Sept. 28, 7:30 p.m. till late. Yangon Yangon Rooftop Bar, Sakura Tower. Tel: 01-255131 for reservations. 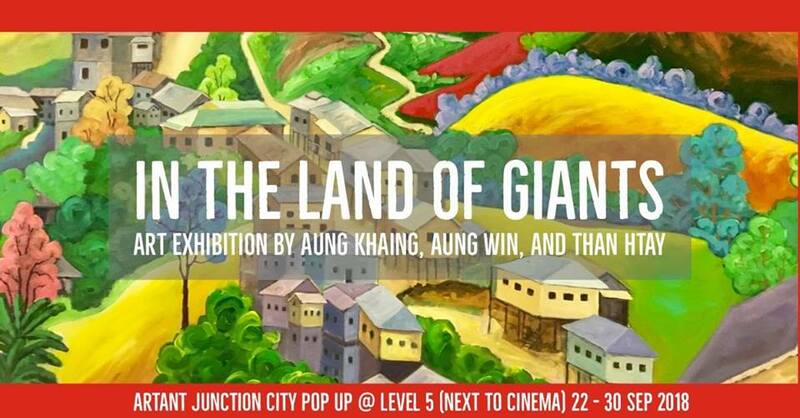 Aung Khaing, Aung Win and Than Htay exhibit their giant creation. Sept. 22 to 30, 9 a.m. to 9 p.m. Junction City, 5th floor. 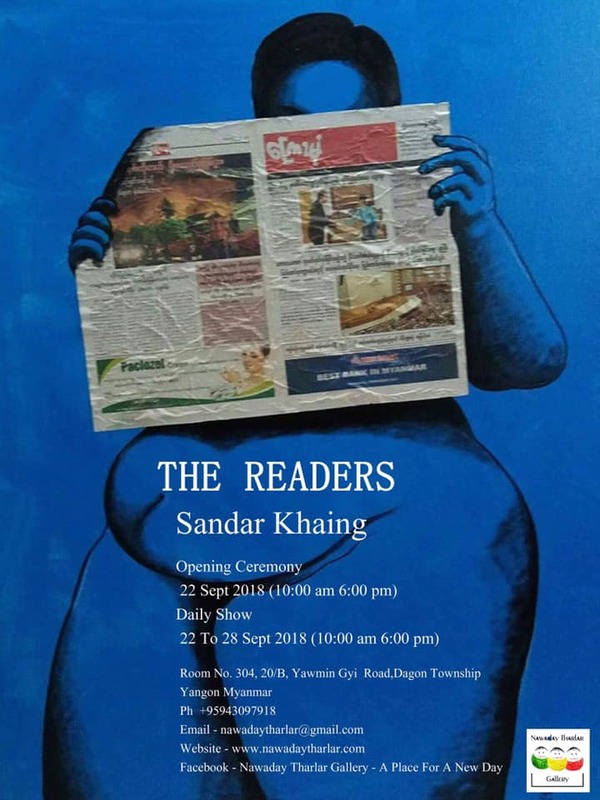 This exhibition features works by Sandar Khaing. Women artists showcase their works. 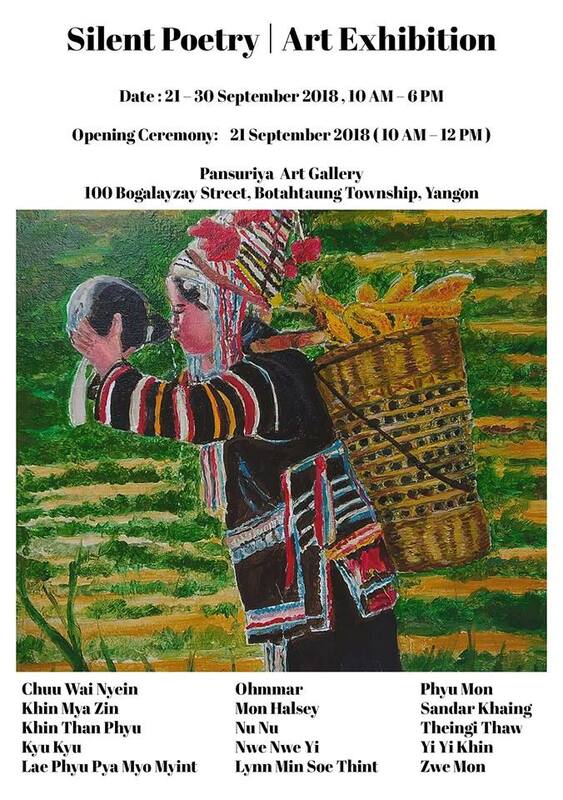 Sept. 21 to 30, 10 a.m. to 6 p.m. Pansuriya Gallery, No. 100 Bogalay Zay Street, Botatung Township.